Now that the J27 is a de facto ‘runner’, I’ve turned my attention to the aesthetic side. The model was one of my first, if not THE first proper kit build I undertook when I graduated from just tweaking RTR in 2009. I could see one or two wee issues such as my over-enthusiastic filing taking a bit of the round on the boiler top and a few patches and worn paint on the edges. It’s all being filled and stopped prior to sanding back to the round and some fresh paint. The loco will be receiving a new number and 1960s finish shortly as one of the later survivors, probably from North Blyth. 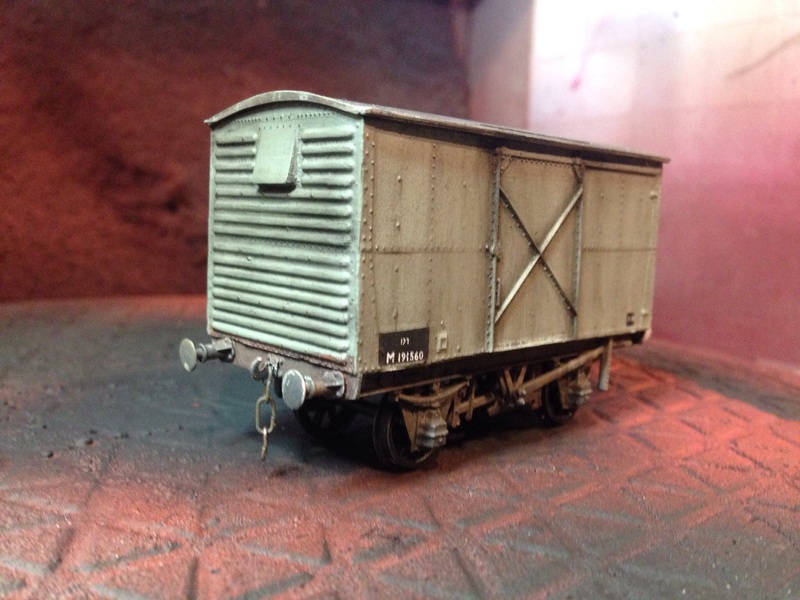 Whilst I’m waiting for the filler to go off, I’ve also been finishing off some wagons. Firstly, there’s an ex-LMS steel sided van. I built this a few years back but I was never happy with the finish so I repainted it in a more restrained grey livery with less weathering. 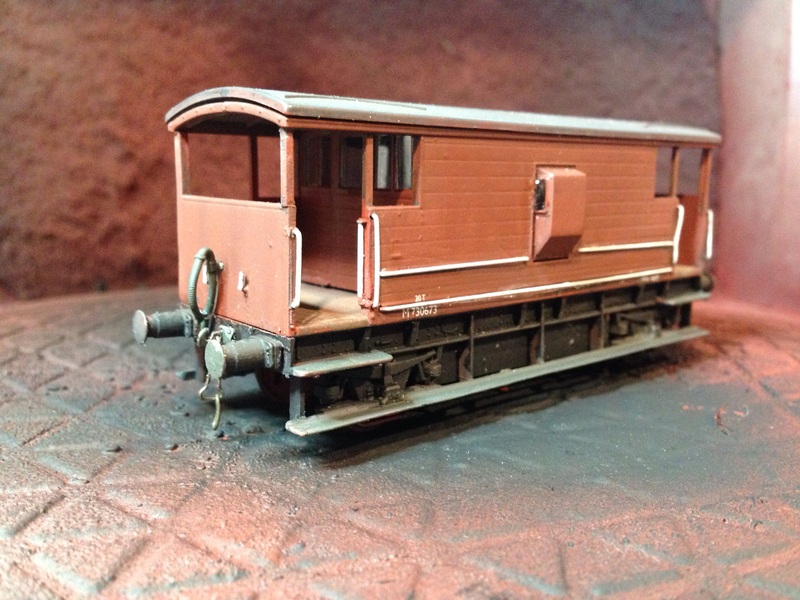 Also a long term resident of the bench was this old Airfix LMS brake, given Shawplan glazing, handrails (urgh!) 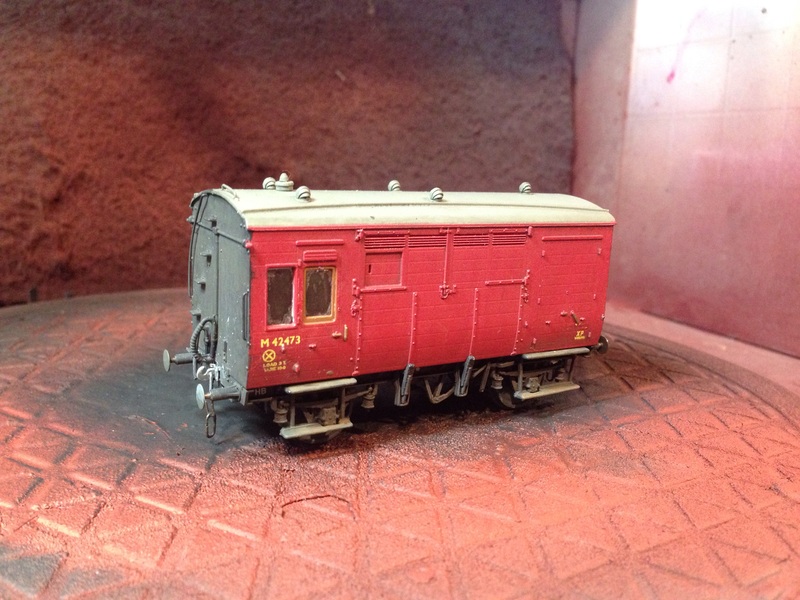 plus LMS buffers and ballast box. It’s not bad looking now but needs some lamps. Lastly, there’s a Hornby ex-LMS Horsebox which has had a wheel swap to EM, link couplings and some light weathering applied. 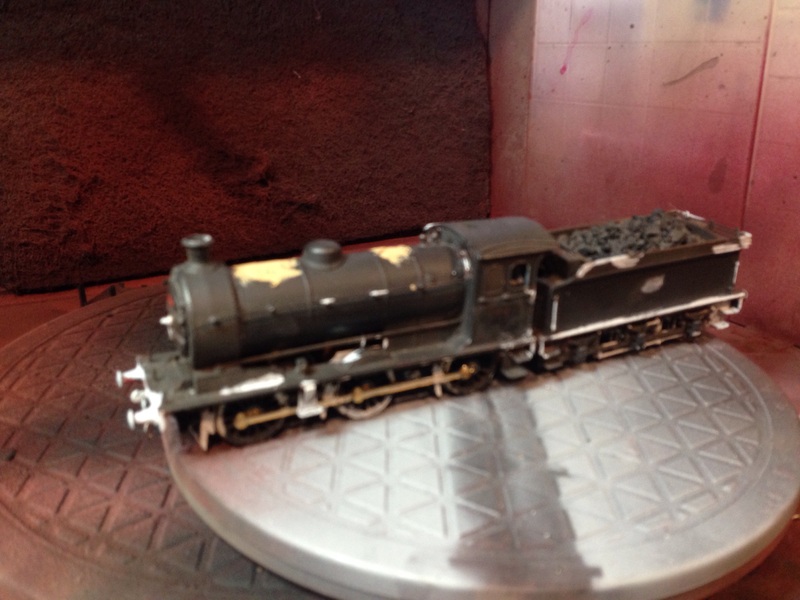 I’ve got an Airfix LMS brake to improve and EM and your “urgh” re the handrails has got me worried! I’ve already looked at the moulded-on originals and suspected they won’t be too easy to remove. Are they even worse than I fear or are there other hazards lying in wait?